Round 3 *ding ding ding* Cube is certainly looking strong coming out its corner, let’s hope Team Restauranteering can stay with it until the end. Note: dead camera batteries and full tummies contributed to the lack of pics in this round… but we’ve made do with what we had. Let it just be known, that I am THE greatest cheese lover you will ever know, so when I heard there was a cheese course on offer, I was practically bouncing off the walls. 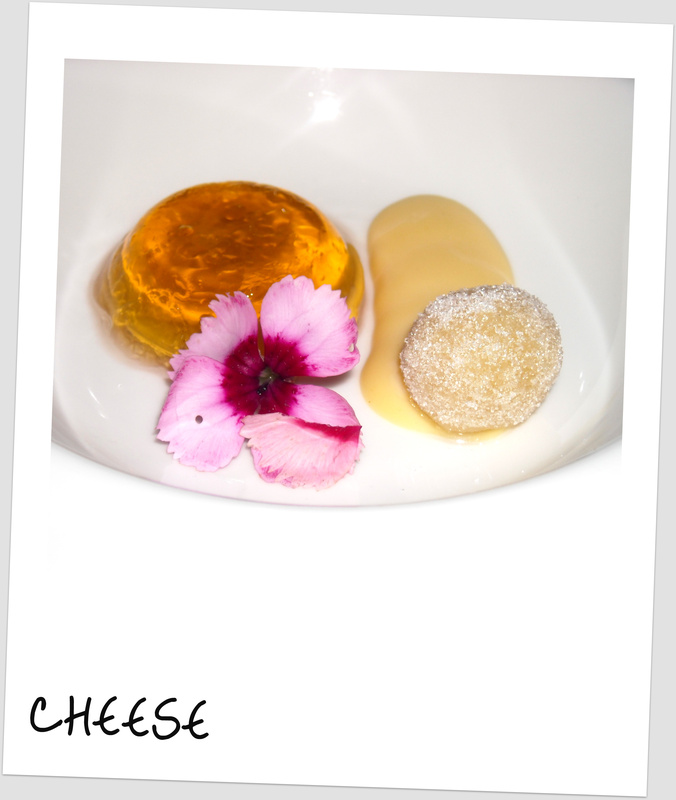 You can imagine my disappointment when I was served a mere smudge of gruyere puree accompanied by a rather explosive wine jelly and a sugar almond ball. Now, my disappointment may not have been all that warranted (some people didn’t mind this course) but it was there none the less. I found the wine jelly completely inedible and the sugar almond ball a bit pointless. The saving grace was the gruyere but there was just not enough of it. All in all, my worst course. That being said, it’s definitely worth trying out for yourself. As we were told by our waiter, the dessert course is made up of a few little courses that are usually served separately but for general ease of plating we were getting them all together. Cue happy face. What was presented to us exceeded everyone’s expectations; I’ll break it down for you. 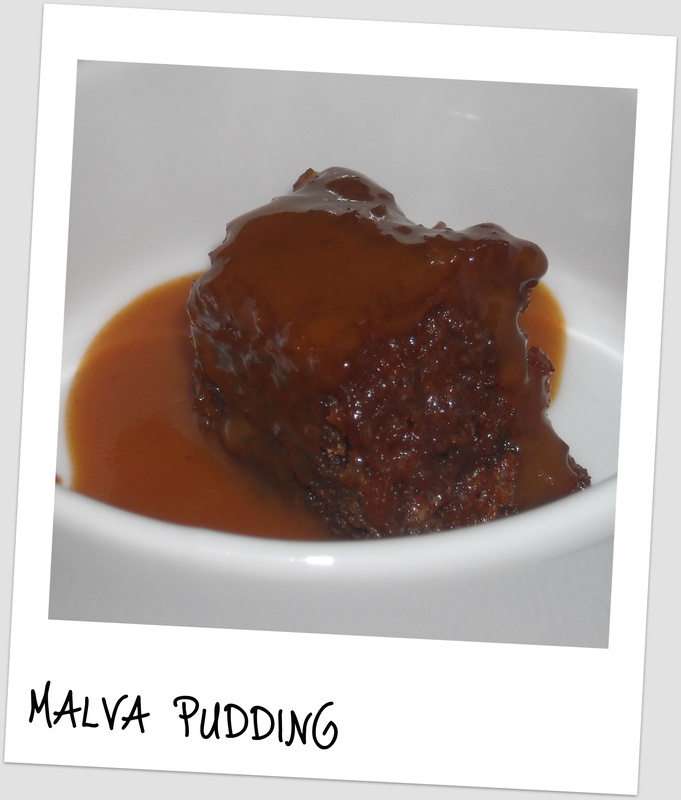 12.1 Malva pudding – can’t go wrong, but boy, can you go so right! Rich moist sponge covered in warm thick toffee ginger sauce. Cube checked all the boxes. 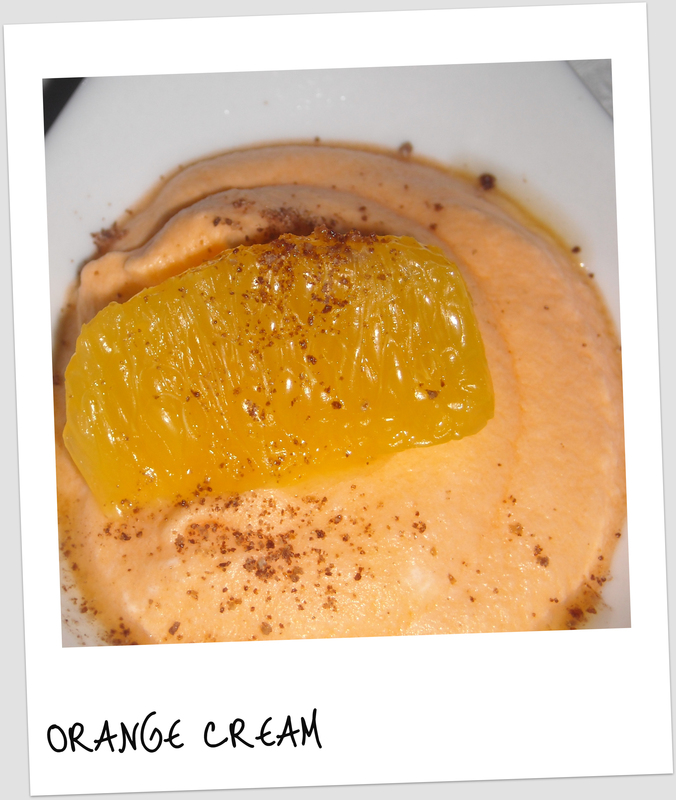 12.4 Orange cream – to ensure no one went into a chocolate/sugar coma, we were given the most delectable orange mousse sprinkled with coco to cleanse the palate. I licked that plate clean. Hey, it was fruit after all! We’re steadily approaching the final bell and Team Cube has Team Restauranteering on the ropes. Team Restauranteering is struggling to stay on its feet, struggling to move. And with one final lick of a teaspoon, Team Restauranteering hits the mat. Team Cube takes the belt, the title, the trophy, the money…pretty much takes any award one could possibly give it! I know I say it about pretty much every restaurant I go to, but you REALLY have to try this place. It will change your perception of good food forever (forever…forever….forever) and you will henceforth be able to tell everyone you know that your foodie bum was kicked whilst your taste buds were made love to by the legend that is Cube – Tasting Kitchen. Round 2 *ding ding ding* The competitors come out fighting! This course was labeled a palate cleanser and incorporated flavours of Italy – pepperonata flavoured mousse with dehydrated tomatoes and risotto sprinklings Some thought the texture was off-putting, others thought the flavour was too intense. I thought it was delicious but certainly not as memorable as the other dishes we had been served. I can think of very few foods that surpass the lamb shank in the comfort food race and Cube’s lamb shank is no exception. Deboned and cooked until it melts in your mouth, the lamb is sprinkled with Moroccan spices (the name of which I cannot spell and am too lazy to Google) and accompanied by parsnip puree and teeny tiny cubes of what I can only describe as pepper squash (texture of a butternut squash but kapow flavour of peppers). 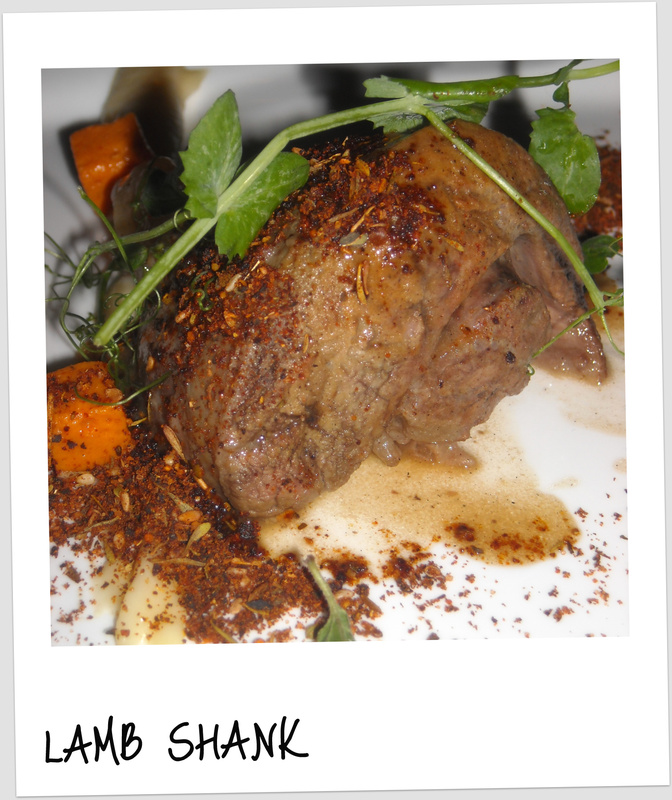 Now, I always brag that MY lamb shank is the best in the world, but between you and me, Cube’s is leaps and bounds better! A spin on the family favorite cauliflower and cheese sauce left some of us cracking jokes and pulling faces. 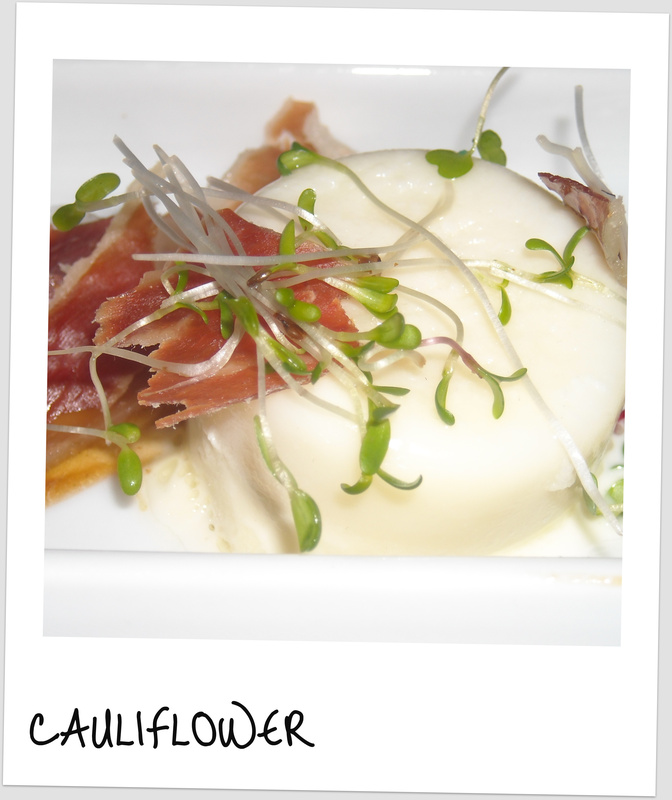 A cauliflower jelly was served with crispy pancetta and shavings of parmesan. Cauliflower is something you either love or hate so I knew there would be mixed reviews. I personally love it, but I even found the cold jelly slightly unappetizing. I did,however, adore the crispy pancetta and parmesan shavings. As pointed out by a fellow restauranteerer, perhaps if the jelly was served with parmesan crisps instead of shavings, the change in texture would have made the dish more appealing. A minor bump on an otherwise breathtaking road. Ah, the braai. A South African staple we’re all familiar with… or are we? Cube’s take on this classic was refreshingly modern. 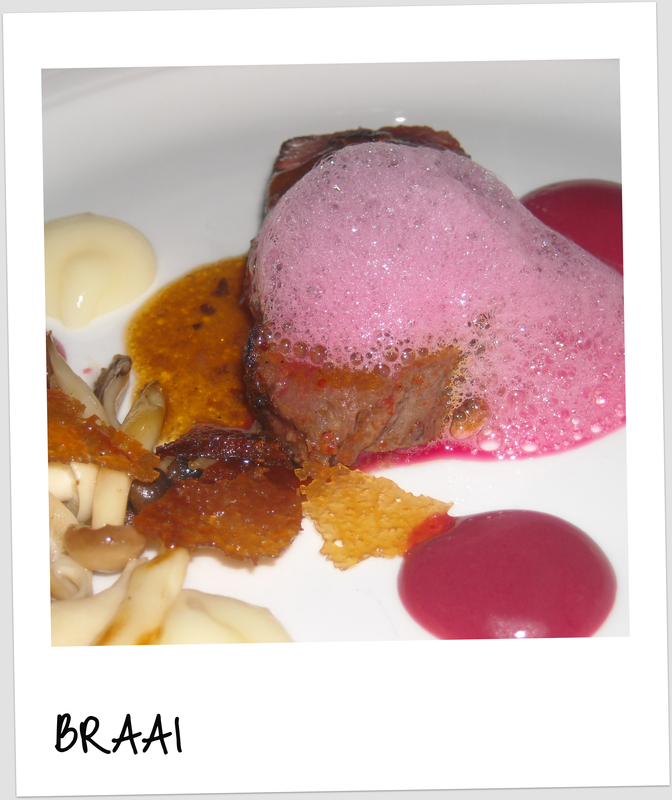 Kudu fillet with lashings of beetroot foam, a medley of mushrooms and a strangely delicious, slightly sour puree (still not too sure what that was). Certainly not like any braai I’ve had before, but I’m all for the change. It was sensational. My personal 2nd placer for the night. Round 3 is up next… stayed tuned. And so it begins. The dining experience of a life time. Having read the review sometime in April, it was decided that Cube would be our next big event. Being quite pricey, we decided to schedule said event for the end of the month and the day had finally arrived. If you haven’t read about Cube before, the basic concept is this – a 12 plus course tasting menu served to a select few in a little spot in Parktown North. It is an experience that i would recommend to any one with even the slightest interest in food. Lets get down to the main event shall we. Fighting out of the white corner, weighing in at a 30 seater … Cube “the tasting kitchen” restaaaaaaurant! Like any good sporting event, the night kicked off with some pub ‘grub’. I use the term ‘grub’ quite loosely, as this 1st course was anything but. Chip & Dip, biltong, pizza squares, peanuts and raisins and of course nachos. Now, I know you’re probably thinking “well that doesn’t sound all that special; I can get that at the Keg”. Well, you’re wrong. Beetroot crisps, perfectly tender duck biltong, a dehydrated pizza square the size of a postage stamp but packed with enough flavour to punch your head off your shoulders and a ‘shot’ of nacho-ey goodness. No, I didn’t think your Keg served that. A solitary white cube in the middle of a big white bowl. Sounds a little lonely but wait, cue the teapot. 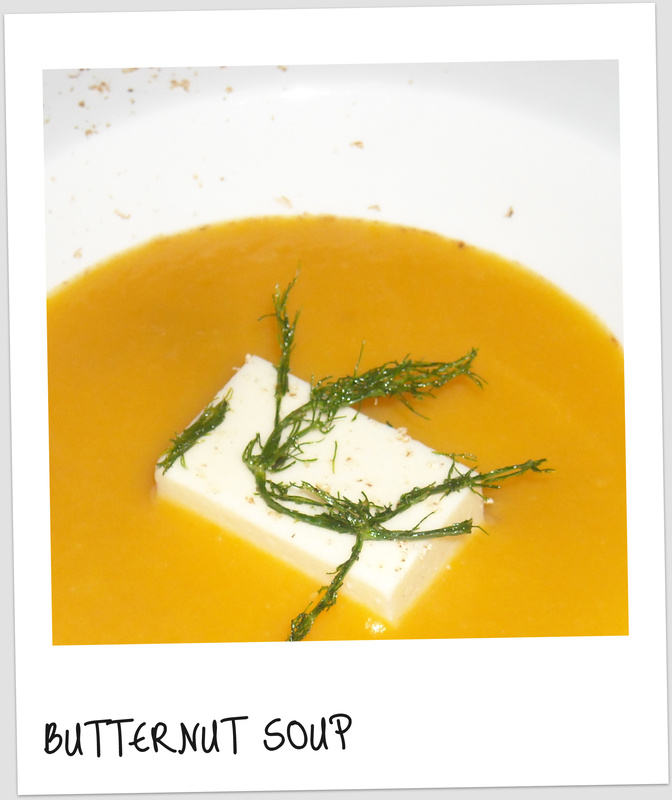 Little white cube is soon surrounded by a sea of bright orange butternut soup. 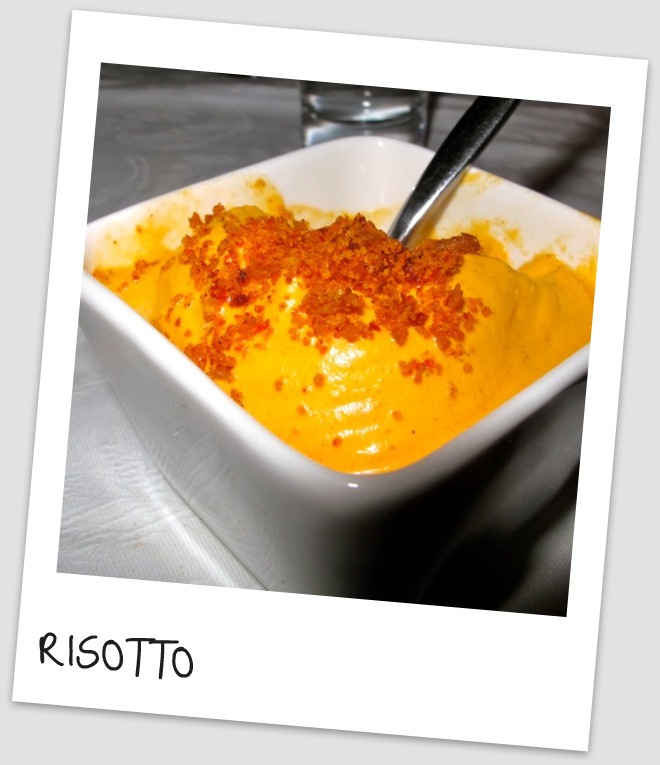 Silky smooth with a citrus burst to offset the richness, even butternut soup haters at the table were oohing and aaahing. Oh and the lone white cube? Just a little something called Feta Jelly!! 3. 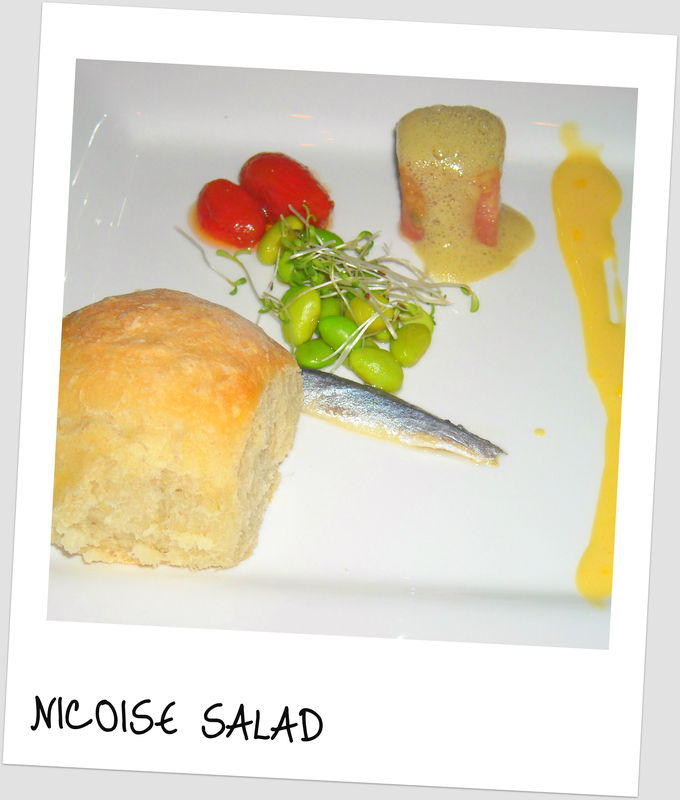 Bread Aka Nicoise Salad. Give me bread and you’ve won me over. Not only did Cube give me bread but they added the freshest tuna, edamame beans that popped in your mouth, eggy sauce and a white anchovy fillet. Oh and least I forgot, they also threw in only the most amazing tomatoes I have ever had the privilege of eating. 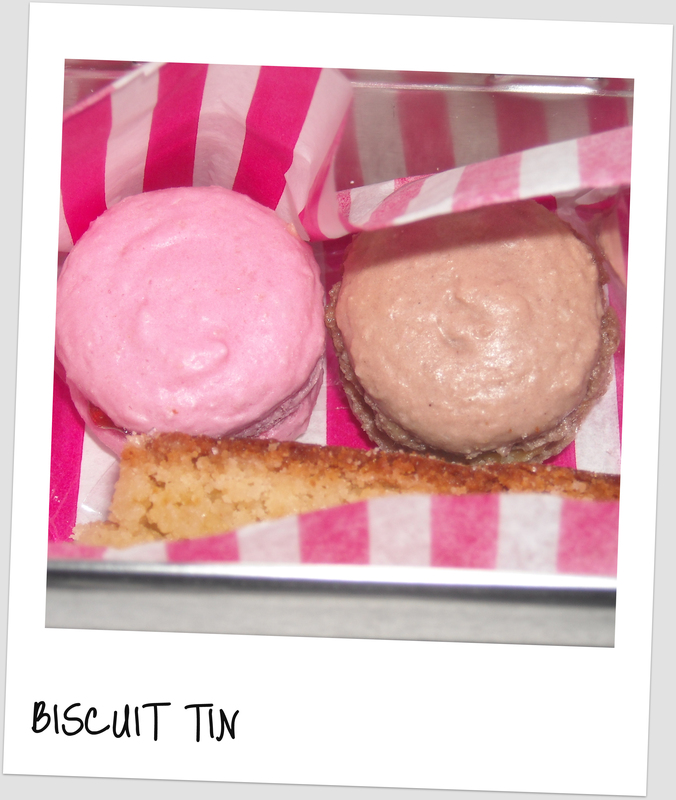 No idea what was done to these little babies but they were quite literally, what (my) dreams are made of. 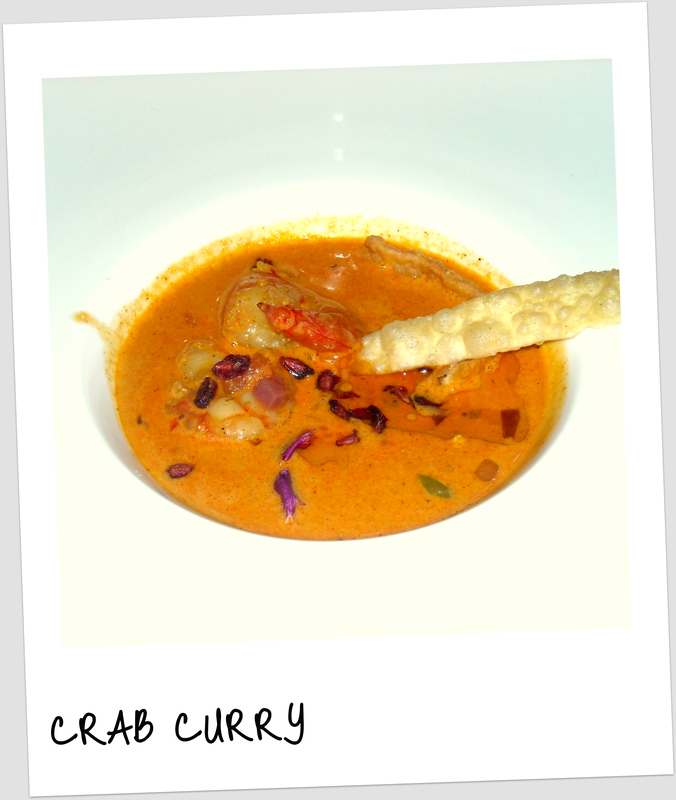 If heaven was edible I imagine it would taste a little something like Cube’s crab curry. Hot curry broth with just the right amount of heat played host to succulent prawns and tender crab. Joining the party we had caraway seeds, dehydrated pomegranates, chorizo oil and some fried pasta. Yes, the roof was indeed on fire. Personally, it was my dish of the evening and I would happily eat it by the bucket load. A pie without pastry? Wait, what? I never would have thought that a pie would be so delicious without the millions of calories provided by the pastry. Mix together creamy mushrooms, a giant mushroom marshmallow (yes marshmallow), braised leeks and some chicken jus and you’ve got yourself a delightfully savoury sweetie pie. 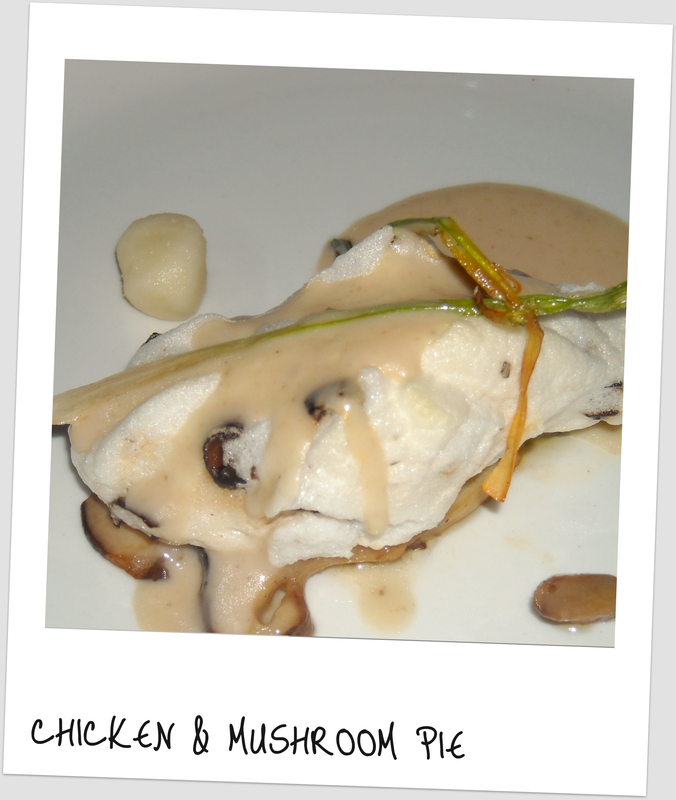 The only slightly odd component (if you don’t think a mushroom marshmallow is at all odd) was what was called ‘chicken fat powder’ – a little ball of, well, chicken fat. Note – do not pop this thing into your mouth whole! Caramel – Check. Apple – Check. 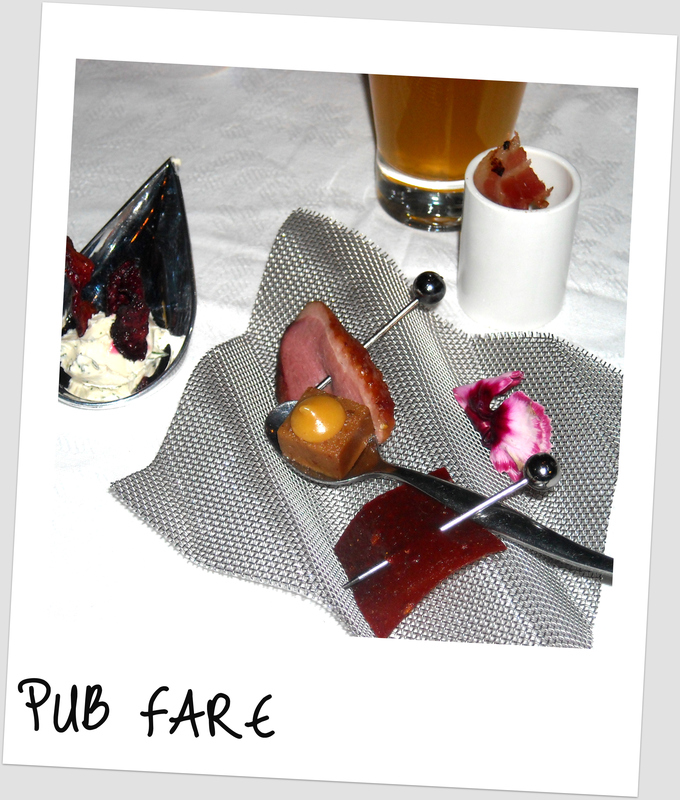 Foiegras – Er, check? Unbelievably odd combination that works unbelievably well.. 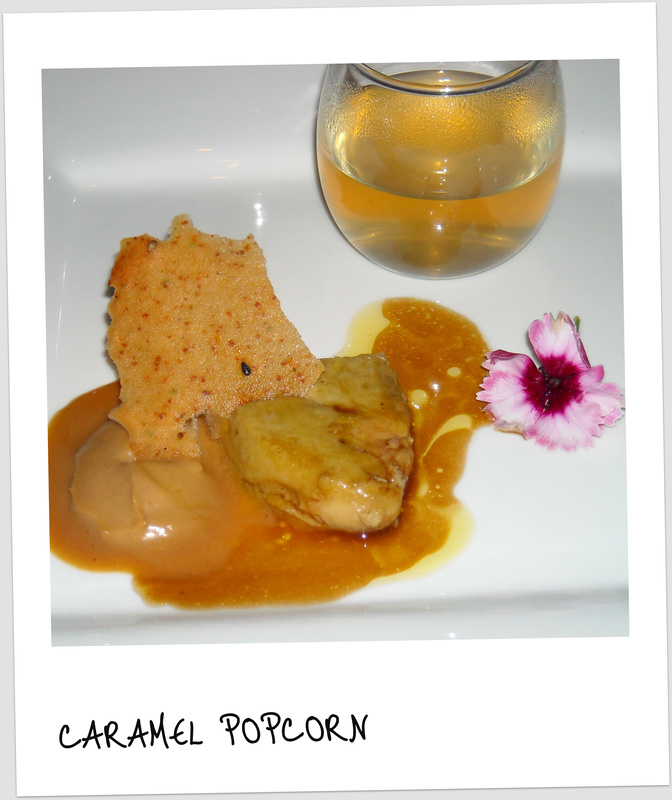 Melt in your mouth foie gras is complimented by deliciously sweet caramel, all washed down with hot cinnamon apple juice. There are very few foods as controversial as foiegras, love it or hate it, you have to atleast try it.I’m willing to bet that Cube’s version will convert all the haters out there. Stayed tuned for Round 2 coming soon to a pc screen near you!